Have you been searching for a new type of CBD product to try? We recently found one that offers an all-natural approach to all of your health needs while remaining a top notch product! Lazarus Naturals has been in business for over five years and found their niche in the cannabinoid isolation when they saw how many companies are offering low-grade and unsafe CBD products to their consumer base and they wanted to do something better. Over the past year, Lazarus Naturals has been diligently perfecting CBD isolation which allows consumers to purchase all-natural products without having to worry about a compromised quality. While only being in the CBD isolation market for a year, they have been able to make a significant mark with a unique vegan approach. This unique approach has certainly paid off as the reviews for their unique CBD products have been overall positive with the CBD levels remain excellent in each product. Let’s take a few moments and examine three of their major selling categories, of course, they have CBD capsules and isolates as well as normal and high potency tinctures. If you’re not familiar with these categories, we’re going to take several moments and examine each of them as well as show you some of the most popular products found within each of these categories. One of the top-selling products found on the Lazarus Naturals website is this high potency CBD oil which contains an incredible 50 mg of CBD per every 1 mL of liquid. It is essential to understand that this product like all of their other products is 100% gluten-free, vegan and all-natural. The company has stated that it only sources high-quality hemp that has been harvested and grown from reliable farmers from around the world and eventually will go through a decarboxylation process to ensure the highest quality and potent product. One of the principal things to understand about Lazarus Naturals is their absolute dedication to the customer. Browsing through their website you get a full understanding of precisely what and why they do the things they do as well as the overall all-natural approach that they have taken with their product as well as the total dedication to producing the highest quality products on the market. While there is very little feedback on their website currently, the vast majority of it is all positive. The vast majority of the people have stated that the high potency oil is some of the best CBD oil that they have ever tried and have claimed it has had an overwhelmingly positive response to their various ailments. One of the last things we want to take note is the fact that it is possible to purchase all of their products in each state, as well as 40 countries, making this quite possibly the easiest product to get your hands on. Also, some other products are available to purchase in retail shops, making them one of the more reputable dealers online. while we have touched on this several times already, we need to ensure that you fully understand that they only offer 100% natural products, meaning you are only going to find 100% of your hemp oil, avocado oil, and MCT Oil. While reading some of the online reviews we notice the customer mention that they thought the prices were rather high. However, they did say it was worth every penny! We have to say that 50 mg of high-quality CBD per millimeter liquid at $32 per 750 mg isn’t that bad. In fact, you can find this high potency oil available in a 3000 mg bottle for just around $125. Other companies are going to charge you $50 for 300 mg, so you’re getting quite a bit of value here. The high potency CBD oil is going to include a graduated dropper that allows you to accurately choose how much you decide to have at one time. While how you use it is up to your discretion, we advise under the tongue for faster effect. Another of one of the most popular products you’ll find at Lazarus Naturals is a brand-new terpene CBD isolate which is available in four different flavors which include raw, Hawaiian citrus, , and Valencia orange. This is one of the unique CBD isolate products available on the market and uses non-genetically modified organism and as well as natural plant-based terpenes to create a product which offers over 99% CBD in recent test batches. In addition to that, the CBD isolate has been tested by third-party companies for pesticides, heavy metals as well as potency to ensure you are getting a high-quality product. The CBD isolate is produced entirely in-company to ensure it that it is always in line with our high standards and consistency. It should also be noted that while this product is not able to dissolve in water, it is possible to create your own topical’s it edibles which makes it quite appealing to a wide range of various consumers. The ingredients you’ll find her CBD isolate and terpenes as well as being wholly gluten-free and vegan in addition to having no artificial sweeteners or flavors. For $30 it is possible to get 1 g of the terpene CBD isolate designed for about 20 servings. Considering there are not a lot of this type of CBD isolate on the market, it is a fair price to charge for a product of this high CBD percentage. It is wise to dissolve this particular product in a variety of carrier oils and suggests that you try to get creative and create your own form of edibles. This product is designed to be dissolved and consumed in any manner that you desire as the isolate has already been activated and ready to go. Lazarus Naturals offer CPD capsules in 10 mg, 25 mg as well as 50 mg which can all be found under the most popular category, however, we’re going to focus primarily on the 25 mg capsule. The reviews we read on this product are all excellent. However, there is little feedback available yet on the website. We assume the lack of feedback is because this product has been available only for a short period as opposed to the vast number of competitors online. These particular capsules contain 25 mg of CBD in each one and have been created in-house, again we have to take note of Lazarus Naturals consistency in their production process as it ensures that all of their products go through the same testing process to achieve such high standards. The 25 mg CBD capsule is an excellent option if you have been using a lower dose and would prefer something with a little bit more kick to it. While this product may take a little longer to kick in as opposed to some other products that are available on the market, they are one of the more popular choices amongst people who are new to CBD. In addition, organic terpenes have been added to make the most out of the hemp that has been used which increases the unique quality of this particular product. Every capsule is going to include a range of gluten-free and begin ingredients which include vegetable cellulose, rice flour, CBD extract, Beta-Caryophyllene, d-Limonene, fractionated coconut oil, and Myrcene. Lazarus Naturals, ensure that there was something for everyone with this particular type of product offering ten capsules for $15 all the way is up to 200 capsules for $200. These particular capsules can be taken just like any other tablet. However, it is essential not to go over any amount unless you have been advised by a health professional to do so. Their overall website is simple yet effective; their objective is to get you to understand that they are all natural and they’ve included a massive amount of information to allow you the opportunity to read up on all the various ingredients and processes that have been used to create these incredible products. It is an incredibly easy website to navigate and comes with various filters that allow you to get to your desired products as quickly as possible. 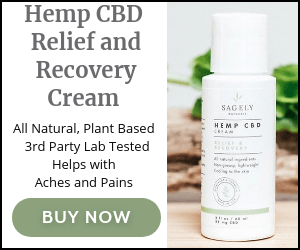 If you have been on the fence of trying a CBD product for the very first time, this is perhaps one of the best places to start offering high-quality products along with an ethical story.